The most vulnerable species included many of the larger insects preferred as food by fish, birds, and other wildlife, said David Herbst, a research biologist at UC Santa Cruz and first author of a paper on the new findings, published March 7 in Freshwater Biology. "Native species of stream insects that have sensitive requirements for flow and water quality, and usually live in the rapids of shallow rocky riffles, were especially vulnerable to prolonged drought," Herbst said. Smaller insects that have shorter life cycles and are better adapted to low flows were able to persist during the drought, but many of the large, long-lived species that have higher food value to fish and birds suffered losses across the entire network of headwater streams, he said. Herbst and other UC and Forest Service researchers conducted studies from 2002 through 2015 in mid-elevation streams of the Kings River Experimental Watersheds. Hundreds of species of aquatic insects and other invertebrates occupy different habitat types within these streams, consuming algae and decomposing organic matter. Late in the drought, the researchers observed significant declines in the densities of about 40 percent of the most common species of mayflies, stoneflies, and caddis flies. "What we saw was pretty disturbing, with a diverse and rich fauna of stream invertebrates becoming decimated, especially as the smaller streams became intermittent and sections of the channel dried," Herbst said. 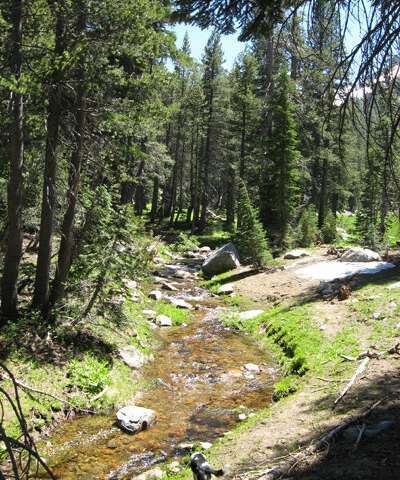 Climate change may be altering the conditions that have in the past sustained perennial flows in the headwater streams of the Sierra Nevada, which are fed by snowmelt. Extremes of drought and flooding are expected to become more frequent, and more precipitation is expected to fall as rain, reducing the size of the snowpack. Warming temperatures will also cause the snowpack to melt faster. For small headwater streams, these changes will mean low flows starting earlier in the summer and a greater likelihood of running dry in late summer and fall. 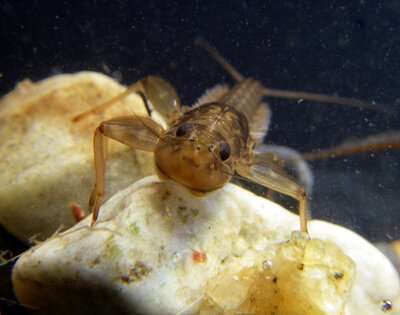 With less water in the streams, swift riffle zones give way to more pools and slower currents, changing the types of habitats available for aquatic insects. According to Herbst, the streams they studied showed resilience during the first years of the drought, with no significant loss of species richness. "Short-term drought of a year or two may be accommodated, but damages set in with prolonged drought exposure," he said. Further research is needed to address the capacity of these streams for recovery after normal flows resume. But Herbst said headwater streams may have a limited capacity for recovery if there are no upstream refuges from which aquatic organisms could recolonize them. Flooding, erosion, and wildfires pose additional threats to mountain stream ecosystems, he said. "Climate is changing at a fast pace, and it will be important to understand how aquatic ecosystems are affected by the climatic whiplash of conditions that swing between extremes of drought and flooding," Herbst said.